John Goforth was born and raised in San Antonio, Texas. After graduating from Robert E. Lee High School in 1979 he went to Southwest Texas State University where he received his B.M.E. in 1983. After college he married his high school sweetheart, Nancy, and then became the Assistant Band Director at Winston Churchill High School where he taught successfully until 1999. The following year he became the Head Band Director at Douglas MacArthur High School continuing there until 2009. Mr. Goforth has two children, a 27 year old daughter named Barbara who lives and works as an RN in Seattle and a 22 year old son named Wesley who is majoring in Music, attending UTSA, and is also a member of the Heart of Texas Concert Band. After 25 years of High School Band, he took a position at Bradley M.S. until retiring in 2013. During his time as a band director he enthusiastically directed Concert, Marching and Jazz Bands. 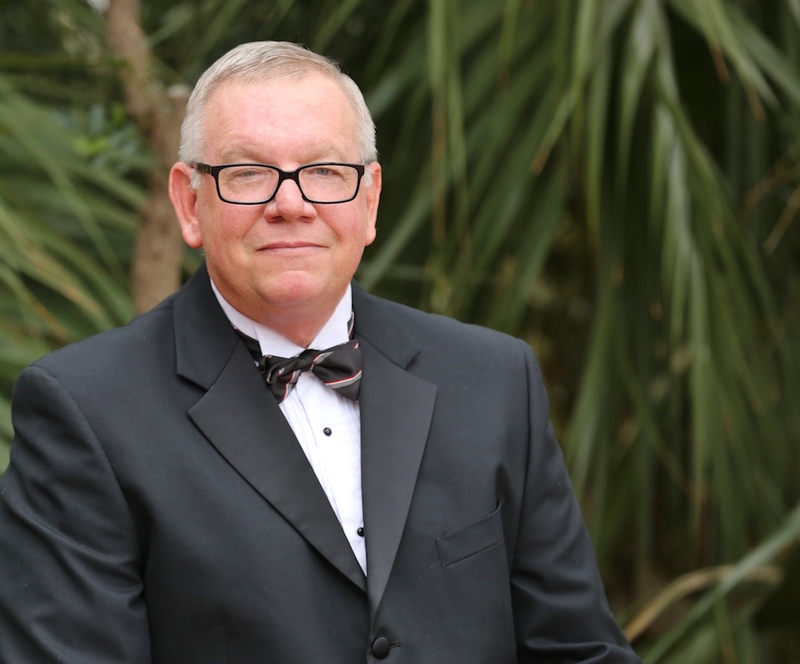 Under his direction and over the years, his bands received many awards at UIL Concert Contest, Marching Festivals, Concert Band Festivals and Jazz Festivals. He is a past member of TMEA, TBA, Phi Mu Alpha and Kappa Kappa Psi. He played in the San Antonio Rodeo Band for 15 years and played at Wurstfest for 16 years. He has played in the pit orchestra at the San Pedro Playhouse Theatre and Woodlawn Theater for Musicals such as: A Chorus Line, Jesus Christ Superstar, Peter Pan and several others. One of his favorite accomplishments is knowing that many of his students continued to pursue music after High School many of them now being Band Directors and Professional Musicians themselves. Since retiring from public school band directing, he now teaches private lessons to low brass students in the NEISD. In his free time he enjoys playing golf and he and his wife, Nancy, hook up their RV and travel around the USA.